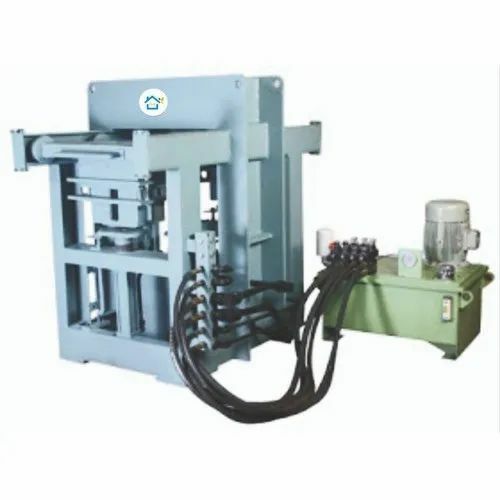 With our expertise and trustworthiness, we are engaged in offering an optimum quality range of PSM-2 Brick Semi Automatic Paver Making Machine With Two Station. Founded in the year 2018, we “Pushp Hi-Tech Engineering” are a dependable and famous manufacturer of a broad range of Automatic Fly Ash Brick Block Paver Making Machine, Semi Automatic Brick Paver Making Machine and Automatic Fly Ash Brick Plant. We are a Sole Proprietorship company, which is located in Ahmedabad (Gujarat, India). We provide these products in diverse specifications to attain the complete satisfaction of the clients. Further, our strong logistic support makes sure that these products are delivered within the promised time-frame. Under the supervision of our metor “Mr. Yopesh Upadhyay”, we have gained huge clientele in our country.